On April 1st Hedi Slimane announced that he will no longer be the Creative Director of the French fashion house, and that was no April fools. 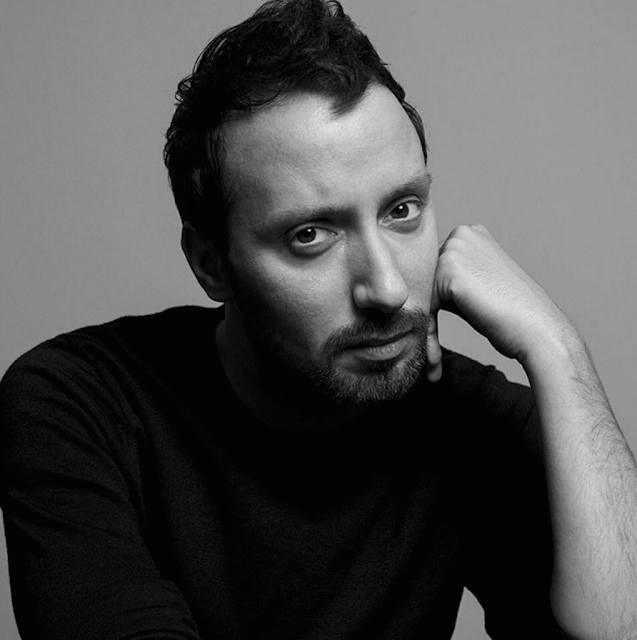 Anthony Vaccarello, previously working with Versace, was appointed by Saint Laurent as his successor. Following the announcement, the brand's Instagram account was wiped. A new Creative Director would require a fresh start and all traces of Slimane's work on Instagram since January 2016 vanished. The account now has only one post, see the portrait of Vaccarello above. Narrowing on the thousand comments, the post started a very heated debate. Followers are torn between embracing a bold move and mourning the loss of that chunk of history. Both point of views regarding that social fresh start are easily defendable. Loosing part of the brand equity seems extremely, too ?, risky but transitioning from Slimane to Vaccarello was calling for a significative social action. The real interesting point here is to see, yet again, that luxury brands don't follow the generic codes of social media. Pulling such move requires a reigned-in ecosystem with less consideration for the follower base. Considering luxury brands aim to uphold inspirational and high quality content it's not impossible to picture a #CleanSlate becoming the new standard.